This post is not about a new feature in PeopleTools 8.54, but it is something that I discovered while investigating the new version. Links have been added to the above list as I have also blogged about each. I hope it might produce some feedback and discussion. After the Roadshow I will also add a link to the presentation. 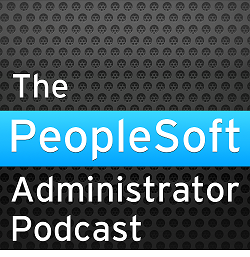 PeopleTools 8.54 is still quite new, and we are all still learning. So please leave comments, disagree with what I have written, correct things that I have got wrong, ask questions. About to go down the same road, so am looking forward to your blogs.